As I drove back to school at the end of spring break, I began to reflect on my college career. 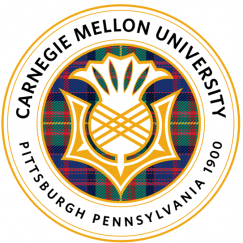 With nine weeks left, what can I still do to get the most out of my remaining days here at Carnegie Mellon University? https://blogs.tepper.cmu.edu/life/wp-content/uploads/2019/02/Screen-Shot-2019-02-23-at-4.38.49-PM.png 497 1324 Eric Huang | Undergraduate Economics 2019 /life/wp-content/uploads/2017/10/Life-at-Tepper-Full-Color.png Eric Huang | Undergraduate Economics 20192019-02-23 21:57:472019-02-25 14:35:22Meet Stephan Caspar and the Askwith Kenner Room! The Quant Club at CMU holds an annual competition sponsored by Goldman Sachs called the Quantathon. As an aspiring computational finance student, I participated in the Quantathon this year with my friends Kunal Rajani (TSB ’22) and Vivek Rao (TSB ’21). “Carnegie Leadership Week”- a full week where you can grow as a leader, meet with your community, and learn from the experiences of alumni and peer. Cherry on top: free food, friends and loads of fun!